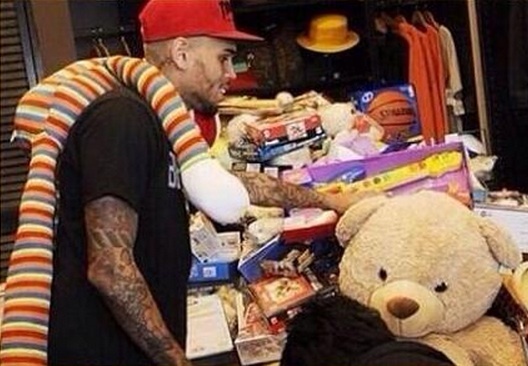 The “Wall To Wall” singer is busy helping in a charity toy drive for Christmas. He did not feel anger during the event, which attended by people with unwrapped toys for underprivileged kids. He stayed in the rehab facility for 90 days according to the order of the judge in Rihanna’s assault case. The one who is in charge at the joint thinks that mingling on Melrose will contribute the singer by participating in non-violent activities. Meanwhile, Chris is proud of his team when he tweeted that his team is the best along with his smiling photo and the donated toys.